Vite Ramen was created to make life easy and keep you at your best, even when you’re stressed and busy. Sometimes you don’t have time or energy to cook, and that’s okay. We’ve been there too. So kick back with a bowl of nutritionally complete instant ramen, packed with tons of protein, vitamins and minerals. Rest easy knowing there’s no preservatives, deep frying, or mountains of salt in our ramen, and never feel guilty about eating instant ramen again. Instant ramen, but good for you! 27g protein, 25% DV all vitamins and minerals, no deep frying, preservatives, or heaps of salt. 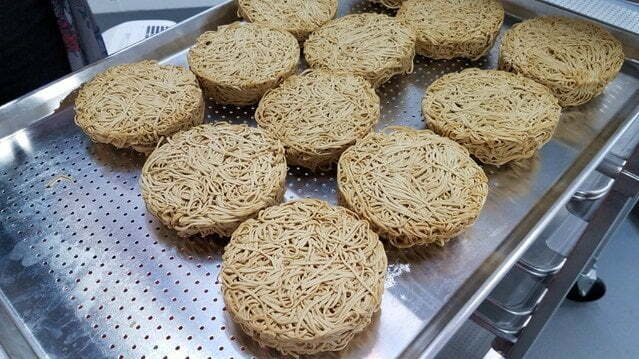 Developed by twin brothers Tim and Tom Zheng, Vite Ramen is the solution to your troubled mealtimes. It’s the world’s first nutritionally complete instant ramen. Nutritious – Vitamin C, A, E, B12, calcium, potassium, even manganese. We have it all, in bioavailable forms that your body can use. With 27g complete protein and 5g fiber, you can be sure you’ll have the energy and strength you need. Delicious – With savory broths crafted by chefs with Michelin Star experience, this is a meal with flavor you’ll want to come back to over and over again. Fast – It’s called instant ramen for a reason! Get a nutritionally complete meal in 4 minutes or less.